ConferenceSeries LLC Ltd, Scientific Event Organizer and the World Class Open Access Publisher, announcing its 4th International Conference on Applied Microbiology and Beneficial Microbes during May 20-21, 2019 at Tokyo, Japan. The conference highlight is “Scoping out Innovative research in Applied Microbiology & Future Trends of Beneficial Microbes”. This adventurous event is conducted in order to provide an absolute platform for educators, new researchers, and learners to present and discuss the most recent innovations, possibilities, and concerns adopted in the field of Microbiology. Applied Microbes -2019 will comprise an informative and exciting conference program including leading keynote speakers, poster presenters and session speakers who will be presenting and sharing their knowledge on the topics related to Microbiology. Microbiology is a branch of science related discipline that deals with the structure and function of microbes and the use and application of microorganisms for human benefit. Its applications include vast subject including biotechnology, enzyme technology, medicinal microbiology, agricultural biotechnology, bioremediation, petroleum microbiology, microbial biofilms and food microbiology. Microbiology can be also classified based on taxonomy, as bacteriology, virology, mycology, protozoology, and phycology. Therefore to acquire all this knowledge we heartedly invite you to join us at the Applied Microbes 2019, where you will gather amazing ideas and have a great experience with experts from around the world. 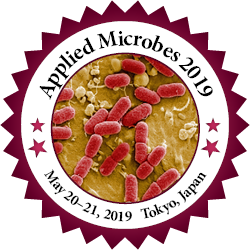 All the important members of Applied Microbes-2019 organizing committee look further to meet you at Tokyo, Japan. 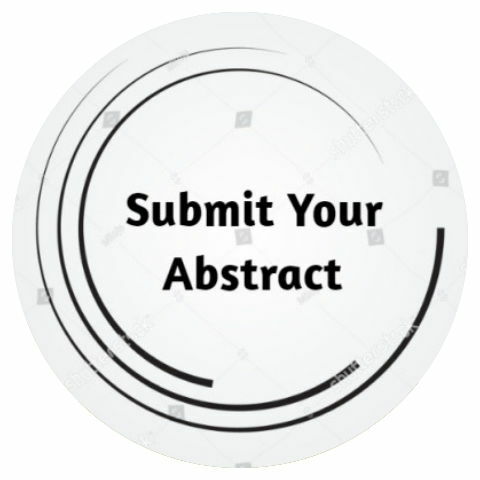 Applied Microbes -2019, will be the best platform for all the Microbiologist, Scientists, Research Scholars, Students, Technologists who are working in this field to exchange their knowledge related to microbial interactions its evolution, diversity and role. This International event is an effort to find information that will indicate the possible interactions between the organisms and conducting such experiments, new techniques that will lead to the formulation of control measures, often using an alteration of the environmental factors for regulation of the microbial ecologies. This is concerned with microbial (bacterial, fungal, viral) diseases of domesticated vertebrate animals (livestock, companion animals, fur-bearing animals, poultry, but excluding fish) that supply food, other useful products or companionship. In addition, Microbial diseases of wild animals living in captivity, or as members of the feral fauna will also be considered if the infections are of interest because of their interrelation with humans and/or domestic animals. Microorganisms make good weapons and bioterrorism has been known to exist since centuries. This has most recently been highlighted by the terrorist attack using anthrax in the fall of 2001 in U.S. Although such attacks of bioterrorism are few, forensic evidence to criminally prosecute the perpetrator is necessary. To strengthen defence against bio crimes, a comprehensive technological network involving various fields needs to be developed. Microbial forensics is one such new discipline combining microbiology and forensic science. It uses advanced molecular techniques like microarray analysis and DNA fingerprinting etc. to associate the source of the causative agent with a specific individual or group by measuring variations between related strains. High quality assurance and quality control standards for microbial forensics will ensure highly reliable results that will stand up in the court of law. The more precise and refined a microbial system becomes, the more proper guidelines for investigations will be defined. An integrated approach towards developing this field of microbial forensics needs to be followed, to meet the challenges of bioterrorism more effectively. Microbial Forensics is currently in its developing stage. It will be most effective if there is sufficient basic scientific information concerning microbial genetics, evolution, physiology, and ecology. Better controls are needed to protect legitimate users and to deter criminal dissemination of dangerous microorganisms or their toxic by-products. Better information and/or access to information is required on those individuals who have access to these pathogens so threats can be deterred or effectively traced back to possible sources. The main therapeutic goal of modern cardiology is to develop novel approaches to minimize inflammation, myocardial necrosis/apoptosis, and enhance cardiac repair after MI. Though MI can be affected by genetic and environmental factors, the search for targeting lifestyle factors has been of greater interest. One such potential factor is the micro biota, the human intestinal microbial community. The disruption of intestinal flora structure provokes MI and poor prognosis. Since gut micro biota is readily modifiable through a variety of interventions, it can be targeted to modulate the host signalling pathways involved in inflammation and MI pathogenesis. Symbiosis bacteria can reduce ischemia/reperfusion injury and inflammation; moreover, they can regulate lipid metabolism, blood pressure, apoptosis, MI size, and overall cardiac survival. In this review, we provide an overview of the development of MI following the symbiosis micro biota and give an update on a micro biota-based therapeutic strategy to delay or prevent MI. Trillions of microbes inhabit the human intestine, forming a complex ecological community that influences normal physiology and susceptibility to disease through its collective metabolic activities and host interactions. Understanding the factors that underlie changes in the composition and function of the gut micro biota will aid in the design of therapies that target it. This goal is formidable. The gut micro biota is immensely diverse, varies between individuals and can fluctuate over time — especially during disease and early development. Viewing the micro biota from an ecological perspective could provide insight into how to promote health by targeting this microbial community in clinical treatments. The gut met genome is the aggregate of all the genomes of gut micro biota. The gut micro biota plays a key role in digestion, metabolism and immune function, and has a widespread impact beyond the gastrointestinal tract. Changes in the biodiversity of the gut micro biota are associated with far-reaching consequences on host health and development. Diet, functional foods, and gut micro biota transplantation are areas that have yielded some therapeutic success in modulating the gut micro biota and warrant further investigation of their effects on various disease states. The study of the microorganisms of the oral cavity and their interactions between oral microorganisms or with the host is generally known as Oral Microbiology. The growth of characteristics microorganisms depends on the environment present in the human mouth found there. Oral bacteria have evolved mechanisms to sense their environment and modify the host. Water, nutrients as well as a moderate temperature are some of the common source provided for the survival of these microbes. The resident microbes present in the mouth adhere to the teeth and gums to resist the mechanical flushing from the mouth to stomach. After reaching to stomach the acid-sensitive microbes are destroyed by hydrochloric acid. It is a term representative of the amalgamation of several sciences. Under this banner, fields of bionics, genetic engineering and cybernetics are all in play. This collective study of different sciences coming together has allowed us to explore how robotics can interact with biology. In its wake, Bio robotics essentially allows robotics to be a substantial substitute for biological organism in a chemical as well as a mechanical capacity. Bio robotics replicates the biological understanding of living organisms and reproduces their characteristics through artificial means. The theoretical discipline of comprehensively engineering genetic information to develop new robotic designs is one aspect of Bio robotics. Another aspect is the use of biological specimens as components of a functioning robot. The worldwide microbiology market is esteemed at $6,727.29 million in 2014 and is relied upon to develop at a CAGR of 13.03% in the vicinity of 2014 and 2019. Expanding sickness weight of irresistible maladies and expanded subsidizing for social insurance consumption are the essential development drivers for this market amid the conjecture time frame. The pharmaceuticals application fragment represented the biggest share of the microbiology advertise in 2014; while the nourishment application portion is normal develop at the most astounding CAGR in the vicinity of 2014 and 2019 in the worldwide microbiology showcase. The global clinical microbiology market is projected to reach USD 5.77 Billion by 2021 from USD 3.35 Billion in 2016, growing at a CAGR of 11.5% from 2016 to 2021. Market growth can be attributed to factors such as the technological advancements; rising incidence of infectious diseases and growing outbreak of epidemics; growing healthcare expenditure across the world; and increasing funding, research grants, and public-private investments in the field of life science researches. Emerging regions such as Asia-Pacific (including Japan, China, and India) are expected to become the new revenue-generating pockets in the market in the next five years. The Asia-Pacific market is projected to grow at the highest CAGR during the forecast period owing to the growing number of hospitals and clinical diagnostic laboratories in India and China; expanding research capabilities for the development of innovative and affordable clinical microbiology testing procedures across India, China, and Japan; and rising incidences of infectious diseases. Market research is vital to the development of the industrial market, and continues to be in demand. In 2018, we anticipate delivery of new editions of our report on Microbiology Testing in the Global spurt. Applied Microbiology size was valued at over USD 24.3 billion in 2017 and will exceed USD 675.2 billion with 7.9% CAGR from 2017 to 2024. At Global Market Insights, It is a unique blend of primary and secondary research, with validation and iterations, in order to minimize deviation and present the most accurate analysis of the industry. Rising demand of new technologies will drive the biotechnology industry size. we’ve seen tremendous growth and change in the industrial diagnostics industry, particularly in the food safety sector expertise in all aspects of the market, plus extensive experience in business management, strategy development and international business, microbiology test volumes, market values and methods used by food producers around the world, based on detailed interviews with more than 450 food production facilities in America, Europe and Asia, including Japan. Total test volumes have increased 128%, and testing for specific foodborne pathogens like Salmonella and E. coli grew at an even faster rate. The global DNA sequencing market is projected to reach USD 85.5 Million by 2025 from USD 310.1 Million in 2017 growing at a CAGR of 8.5% during the forecast period. The global market for Food Microbiology reached nearly $7.1 billion in 2017. This market is expected to grow to nearly $9.6 billion in 2017 and $15.7 billion by 2025, with a compound annual growth rate (CAGR) of 8.1% from 2017 to 2025. Global Nanotechnology Market was valued at $216.2 billion in 2017 and $448.3 billion in 2017. The total market is projected to grow at a compound annual growth rate (CAGR) of 19.3% from 2017 through 2025 and reach $828 billion by 2025. Based on technology, the industry is segmented into tissue engineering and regeneration, fermentation, PCR, nanotechnology, chromatography, DNA sequencing and cell based assay. In 2017, the tissue engineering and regeneration segment accounted for highest revenue and was valued at over USD 11.3 billion. However, the nanotechnology, fermentation and cell based assay segments will experience lucrative growth owing to rising R&D initiatives by various biotechnological and pharmaceutical companies. The global clinical microbiology market is valued at $6,727.29 million in 2014 and is expected to grow at a CAGR of 13.03% between 2014 and 2019. Increasing disease burden of infectious diseases and increased funding for healthcare expenditure are the important growth drivers for this market during the forecast period. The pharmaceuticals application segment accounted for the largest share of the microbiology market in 2014, while the food application segment is expected grow at the highest CAGR between 2014 and 2019 in the global microbiology market. Japan is the 3rd largest economy in the world. It has a GDP 1.5 the size of UK and per capita GDP 6 times that of China; Japan remains the high-tech powerhouse economy of Asia. It is the second highest spending worldwide on R&D; Japanese companies remain amongst the most technologically valuable and advanced in the world. Japan’s major growth driver is exports despite external demand accounting for 16% of its total GDP. We had successfully hosted the “3rd International Conference on Applied Microbiology and Beneficial Microbes” during June 06-07th, 2018 at Hyatt Regency Osaka, Osaka, Japan. The conference focused on the theme “Accumulate, segregate and remodel micro-organisms for upliftment of human life”. The conference was successful in bringing together renowned speakers from various reputed organizations and their paramount talks enlightened the gathering. We extend our heartiest thanks to all the Organizing Committee Members for their kind support rendered towards the success of Applied Microbes 2018. At the same time we take the opportunity to thank all the speakers, delegates and participants for providing their valuable contribution and time for Applied Microbes 2018. Applied Microbes 2018 Organizing Committee would like to thank the Moderator of the conference, Wolfram Brueck who contributed a lot for the smooth functioning of this event.